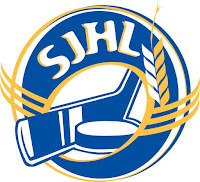 No regulation losses in their last nine and a date with Battlefords on Tuesday is a must-see. They dropped two in a row last week, which is a major crisis in North Battleford. No worries, the ‘lengthy’ losing streak was snapped this week with an overtime win over Humboldt. If you go by points, the Mustangs are the top team in the league. They are unbeaten in five and the Hawks would have to win both games in hand to overtake them in the standings. They lead the North Stars by one point and have beaten Battlefords two out of three games since the middle of November, but the Stars also have five games in hand. Home and home with Yorkton this weekend, which isn’t as easy as you may think. The Bruins have had a tough time with the Terriers. Four game trip this week, already a split against the Hounds, includes two dates with Weyburn. Hard to figure these guys out. They won a bunch, lost a bunch, slaughtered Yorkton and then took the North Stars to overtime. Relying on rookies to lead the way offensively, it stands to reason there may be peaks and valleys along the way. They will miss Crystopher Collin while he’s at the WJAC, but they sent Nipawin a message last weekend with an overtime win. Clayton Eisler was named Defenseman Of The Month, but Mils are on a three game skid, stalling their climb upwards. Two games against the North Stars this weekend, which can’t be exciting for any club let alone one that has dropped eight of ten. Coming off a weekend in which they were outscored 15-5 by Humboldt in two games and outshot 99-51. Inaugural 9-Man Challenge Cup to be held in Melville this July!